This past weekend the German 1/8th E-Buggy Nationals were held at the Schietschmieter Bistensee track in Northern Germany near the Danish boarder. 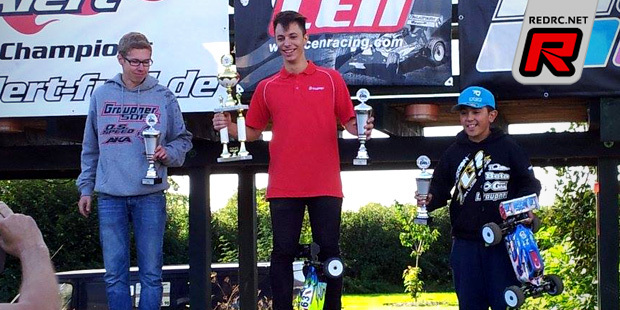 Marvin Fritschler (SOAR/GM-Racing) was the man to beat over the weekend and in the 10-minute A-main he would come out successful in front of SOAR/Graupner team mate Marcel Paul. Young Burak Kilic (TLR/GM-Racing) would round out the top 3 result.